San Jose is the capital of Costa Rica, its name is in honor of Joseph of Nazareth; this city is located in the center of the country, it is the political, economic, social and most importantly the transportation center of the Costa Rican territory. 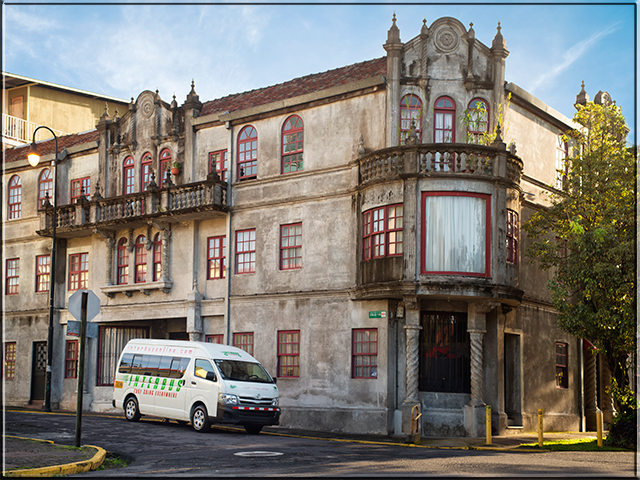 It has a multitude of historical buildings with European neoclassical and baroque architecture; and seventy houses and buildings in the capital have been declared historic and cultural heritage of the Costa Rican nation. San Jose does not have a large population; it is mostly a commercial area; this town is the most important employment source in our country, but like others cities, it has some problems, such as vacant lots, dilapidated buildings, graffiti and some dangerous areas, but according to some studies in the Latin America area, San Jose remains one of the safest and less violent cities throughout Latin America. In 2006, San José ranked fourth among Latin American cities with the cleanest air, according to the World Health Organization. From this city you can navigate to any area of the country. Costa Rica has many attractions and you can reach them via shared transport; Interbus offers shuttle service from the airport to the metropolitan area hotels and from city to most tourist destinations in Costa Rica; For more information about routes and prices please Click here. Also, you can choose to take local flights, Nature Air and Sansa are two of the most popular companies offering flights within Costa Rica.You can also travel on public transportation, most areas have bus terminal in San Jose down town. San Jose has many tourist attractions, also has many architectural beauties, zoos, museums among many places that you can visit during your stay in the city. There are houses located in old elite neighbourhoods in the city; areas such as Aranjuez, Amon, Otoya and Tournon; these houses shows architectural works of great historical value for San Jose city; some of these beautiful houses that today are used for cafes, hotels and other businesses.